Selling Timeshares, Inc., a licensed Real Estate brokerage that specializes in high-end vacation ownerships, is set to offer WorldMark ownerships for a fraction of current retail pricing while helping owners list with no upfront cost. We only broker high-end ownerships, many protected by first right of refusal which help ensure residual value of the ownerships. 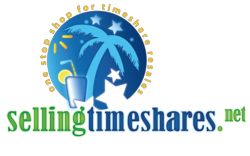 Selling Timeshares, Inc., a licensed Real Estate brokerage that specializes in high end vacation ownerships, is set to offer ownerships for a fraction of current retail pricing while helping sellers list with no upfront cost. To many people, there is a natural aversion to buying timeshares. Many envision pushy sales-people, gimmicky gifts, and a scam product that has no actual value. While it's true that the sales-people stretch the truth, and the gifts can end up costing you more than you think, there is a thriving ecosystem surrounding the secondary market of timeshares. Due to the fact that many vacation ownerships are perpetual in nature and can be sold or willed, similar to Real Estate, owners can choose to divest themselves and sell the unit. Although any owner can sell, some properties are more liquid than others, some weeks are more desirable than others, and thus there are many misconceptions as to what type of ownership will be best for the traveler. David Van Norman, a licensed agent with Selling Timeshares, Inc. said, "We only broker high-end ownerships, many protected by first right of refusal which help ensure residual value of the ownerships." Owners who have chosen to purchase directly from an owner on the resale market save literally thousands, sometimes as high as 75% off retail price. When asking whether or not an owner is happy with their timeshare, skeptics may want to also ask if they've bought resale. There are many reasons why the resale market for a timeshare can be dramatically lower than retail pricing. Many of the issues with the retail timeshare presentation model can be attributed to the depreciation of the ownerships. This is similar to what happens when a new car rolls off the lot. The car is now used. Once the car is driven, thousands of dollars of depreciation have set in. This depreciation can be especially dramatic in timeshare properties, as the cost of holding presentations and giving away gifts has to be covered by those who buy retail. One could say the resale value of the timeshare is a closer reflection of the value of the ownership before costly marketing is added to its sticker price. Selling Timeshares, Inc. is now working with owners to list WorldMark ownerships with no upfront cost to the seller. The company is quick to point out that this has caused a huge influx of listings.